Five of you. Five of them. Face off in a battle where everything you build, destroy, construct or shoot has a devastating impact on the entire game. Build defences using a crazy range of block types and work together in this FPS where no game is EVER the same. NOW FREE TO PLAY. Mixed (108) - 63% of the 108 user reviews in the last 30 days are positive. Mostly Positive (14,051) - 77% of the 14,051 user reviews for this game are positive. 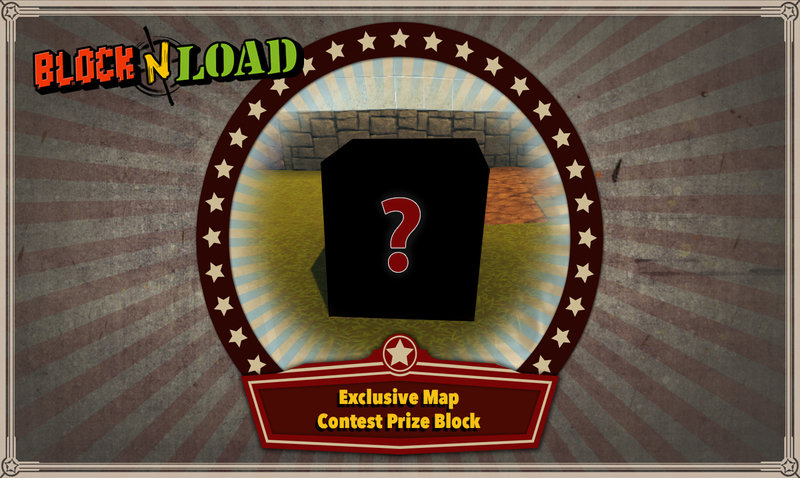 The exclusive block for the winner of the map contest! Any guesses as to what it will be? What's this? 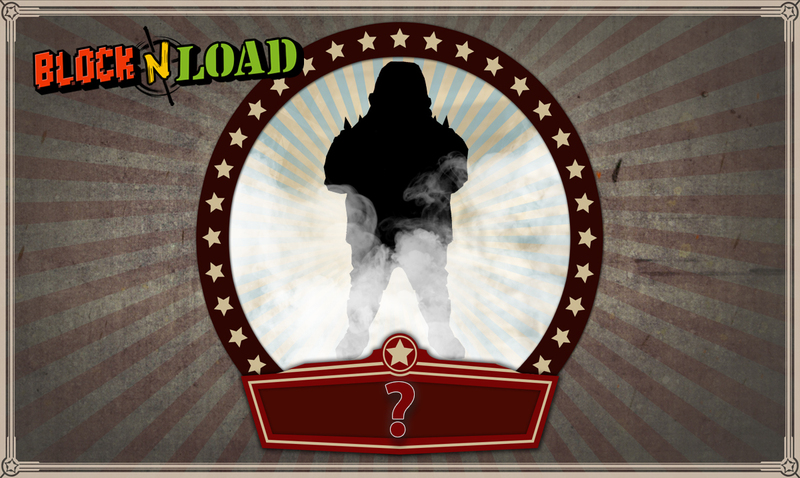 Stay tuned for the next update coming soon to reveal all! Five of you. Five of them. Face off in a tactical battle where everything you build, destroy, construct or shoot has devastating impact on the entire game. Build your defenses and charge into action to destroy theirs. Tunnel under the map or catapult over it, they’ll never see it coming! Be sneaky, be devious, be destructive. Be a large metal robot, twisted scientist, deadly ninja and more. Build using a crazy range of block types and work together in this FPS where no game is ever the same. Ready up! It’s time to Block N Load. NOW FREE TO PLAY. NO GAME THE SAME: The game world is ever-changing and evolving throughout every match, as players creatively build and tunnel their way to enemy positions and onto victory. UNHINGED HEROES: Character variety offers a robust mix of roles for full combat, defensive and supportive players in a team. BRAINS AS IMPORTANT AS BULLETS: Every game has a blend of intelligent and creative tactics fused with strategic shooter action. It’s fast-paced yet strategic. BUILD PHASE: Experiment and take the time to work on your defences, traps and setups before the team attacks truly begin. MASTERS OF CONSTRUCTION: Creative use of a wide choice of blocks in-game mean your deadly and devious constructions can cause havoc with the enemy – and the map. WHAT THE BLOCK!? Big bombs, turrets, bounce pads, poison traps, landmines, forcefields, speed pads, mortars, glue blocks, health blocks, ammo blocks and more. Everything you need for calculated mayhem. MAP EDITOR: Craft your own amazing Arenas using the same tools the developers do for official Arenas. Share them on the Steam Workshop and play them in game. CUSTOM GAME MODE: Set up your own game on the servers to choose your favourite map and build time. 1000s of player made maps available to try! TIME ASSAULT MODE: Ready for a single player challenge? Take on deadly hero based assault courses, utilise your parkour skills and compete against your own best times & if you're fast enough win a top spot on the global leaderboards. Graphics: Dedicated graphics card (GeForce GTX 650 / AMD Radeon HD 7770 series or better). © 2019 Toadman Interactive AB. All rights reserved. Toadman Interactive AB® and Block N Load™ are trademarks of Toadman Interactive AB. 155 Curators have reviewed this product. Click here to see them.